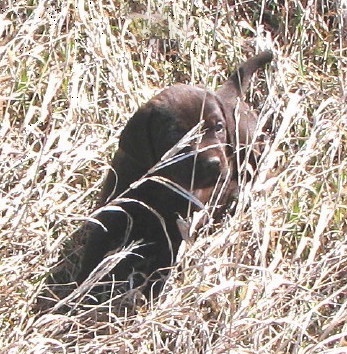 This is Chewie the Pudelpointer and his first bird. 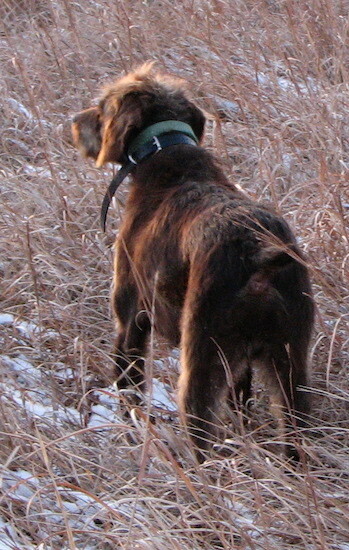 He is a neutered male Pudelpointer named Featherfoot's Helter Skelter aka Chewbacca or Chewie!! 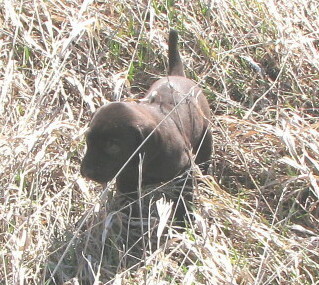 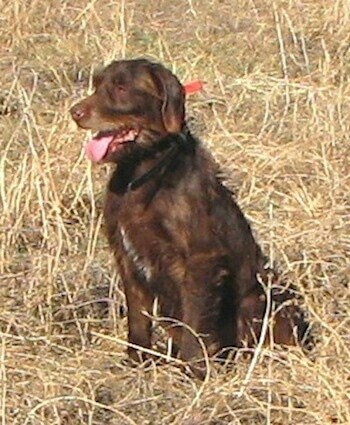 His father is Cedarwood's Buster Brown and his mother is Gola Ze Straziste. 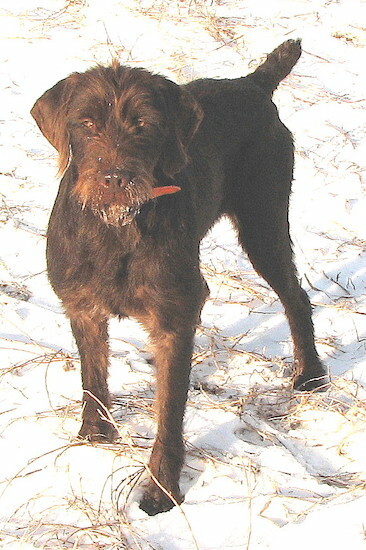 Pudelpointer Mazzie aka Featherfoot's Hurricane Holly—the name fits. 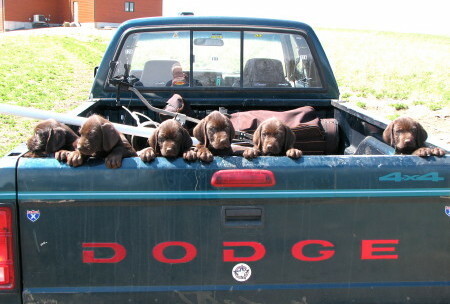 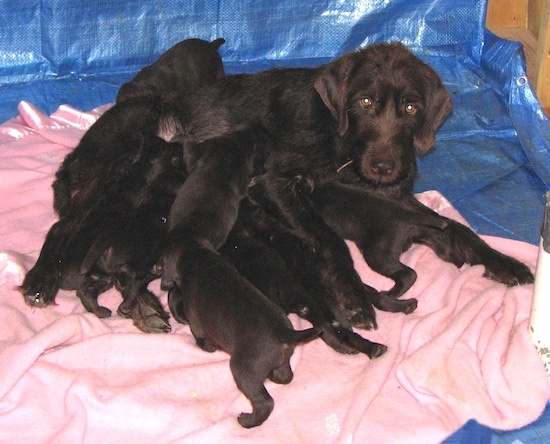 A litter of Pudelpointer puppies! 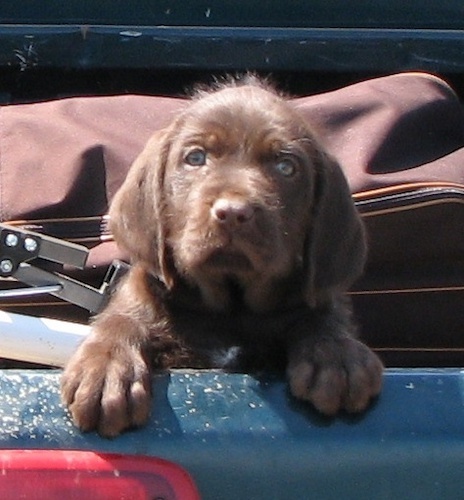 Pudelpointer puppy—who are you lookin' at?